Maybe you’ve been through a bad hail storm recently or you got into a small fender bender on the way home from work. Regardless of the cause, dents in your car can be irritating and unsightly. Here are the different types of dents your car can have, and some things you can do about each type of dent. Round Dents: Round dents are typically fairly small and not very serious, being caused by round objects hitting against the surface of your car. They often will have a central point, causing the dent to look somewhat funnel-like. These can usually be fixed with paintless dent repair. Creased Dents: These dents are usually found along the side of a car after the car scrapes up against an item. These sometimes can cause damage to the paint, though this is not always the case. In these cases, dent removal is important, as not having the problem properly fixed can lead to more damage. Hail Dents: Hail dents are, as the name would suggest, caused by hail. The National Weather Service reports that it generally takes a hailstone the size of a golf ball (1.75 inches) to damage a vehicle. These will normally look fairly similar to round dents, and can similarly make use of paintless dent removal to fix the damage. Sharp Dents: Common after a collision, sharp dents occur along the body lines of the car. While sometimes appearing as a single dent, these dents may look like multiple dents above and below certain body lines of the car. Multipoint Dents: These dents consist of several primary points of damage after an impact. 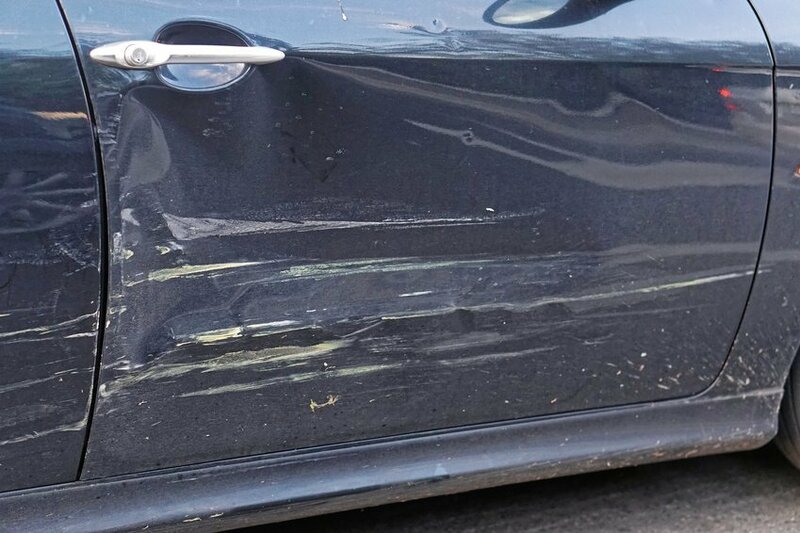 Usually the result of car accidents, these dents tend to be more complex, but can still be helped with small dent repair techniques like paintless dent repair. In need of paintless dent repair for your vehicle after a bad hail storm or an accident? Dent Shop can help you with your small dent repair and dent removal needs. Paintless dent removal is also an option, depending on the damage to your car’s paint and your car’s overall condition. Contact Dent Shop today for more information.